Indicators are used to either signal an entry point or to verify that after you have entered a trade, it will continue in your favor. The MACD is a widely used lagging indicator. We teach you how to use it to keep you in your winning trade. 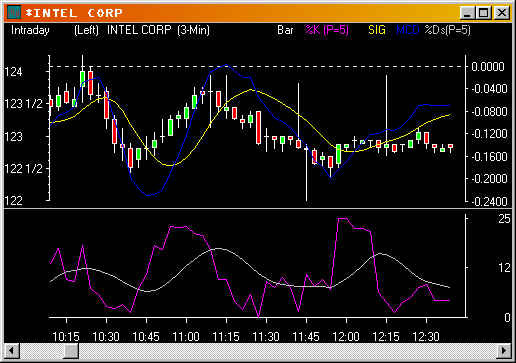 Stochastics is used as an entry indicator along with other indicators. We give you the tools to create your own trading style and we also give you video of different trading styles of other traders. You will be able to build upon a storehouse of positive winning ideas. The program makes learning easy and efficient. Unlike seminars or hours of lecture, gives you visuals to help you remember and the ability to review when it fits your schedule.